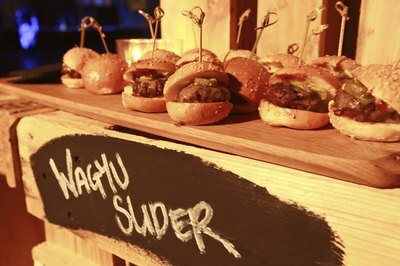 Both black angus and kobe beef are considered high quality meat, often found in fine restaurants. Kobe beef is rare in the United States, as only a limited supply is exported from Japan. 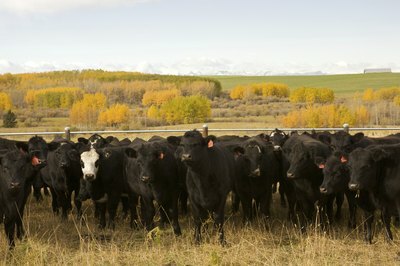 Angus beef is widely available, but only the highest quality cattle are considered for the label "Certified Black Angus." 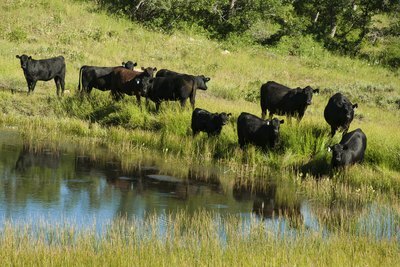 Black Angus cattle were originally brought to the United States from Scotland in the 1800s. They are a naturally hornless breed of cattle that are known for their hardiness, adaptability and ease of care. They reach maturity and are ready for market in about two years. 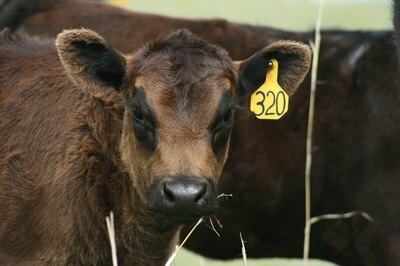 Though a recessive gene can produce a brown-reddish color variety, black angus beef must come from cattle that is actually black in color to be considered labeled as such. Kobe beef comes from a special breed of cattle known as Wagyu. To be considered Kobe beef, the cattle must be raised in the Hyogo region of Japan--where Kobe is the capital--using specialized techniques. This isolated region of Japan produced distinctive breeding and rearing practices, including feeding the cattle large amounts of beer and massaging the live animals' skin with sake. 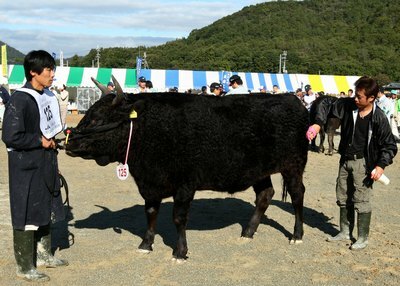 Japanese Wagyu cattle are fed large amounts of beer in the summer. The combination of the season's humidity and temperatures and the animals' fat cover decreases their appetites, which decreases weight and fat. Beer reportedly increases their appetite. Wagyu cattle are also massaged with sake at regular intervals. The theory is that this helps to relieve the animals' stress and muscle stiffness. In turn, a happier, more contented animal produces better meat. Japanese farmers also believe the haircoat and skin softness is related to the meat quality, according to the website Food Reference. While black angus beef is considered high quality meat, kobe is in a league of its own and widely regarded as the best beef in the world, according to Food and Wine, setting the standard for flavor and tenderness. It can be sold for $100 per pound or more. Black angus has excellent flavor and good marbling as well, and the finest specimens are sold as "prime," mostly to restaurants. Some American farmers have started to raise their own versions of Kobe, using the same breed and techniques the Japanese use. The term "American Kobe" has begun to appear in restaurant menus, but this beef often comes from a combination of Wagyu and Angus (black or red) cattle.